A horizontal fence is now the white picket fence of modern-day outdoor design. This rapidly growing style of privacy fence compliments any home or commercial property, from contemporary to rustic. A perimeter built with horizontal fence panels adds a beautiful range of outdoor aesthetic and personality to backyards, front yards, or any commercial space. 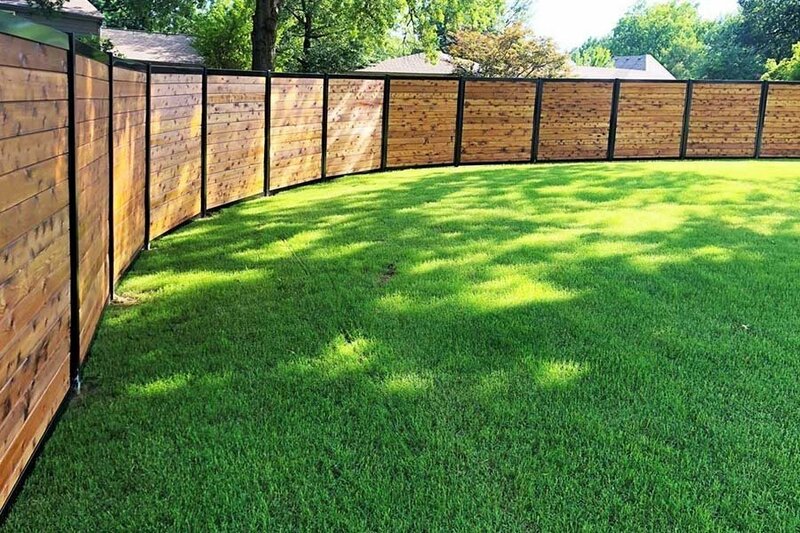 It’s easy to see why there’s been a spike in the horizontal fence craze, but here are a few reasons that stand out most. What’s the lifespan of a traditional wood privacy fence? To answer that question, one must consider: ONE – how long ago the fence was built. TWO – the materials of construction used for the fence. And THREE – the quality of the installation crew (hired or DIY). Those factors all play a role in how long a traditional wood fence will last. That fences aren’t made like they used to be. In fact, around 2003 the EPA banned the use of CCA (chromated copper arsenate) in the manufacture of wooden fence posts. An arsenic-containing compound, CCA was the chemical of choice used to protect pressure-treated wood for decades – offering moisture and pest protection that extended the life of the fence. Newer versions of pressure-treated wood fence posts deteriorate much faster than they used to. And with that… the lifespan and quality of an average wooden fence has dropped significantly. Here’s a “newer” version of pressure-treated wood that has been damaged by wood rot. When a traditional vertical wood fence weakens, the rot starts at the base of each fence post, where the post meets the ground. A horizontal fence built with the FenceTrac system of metal posts and frames will outlast a traditional wood fence many times over. 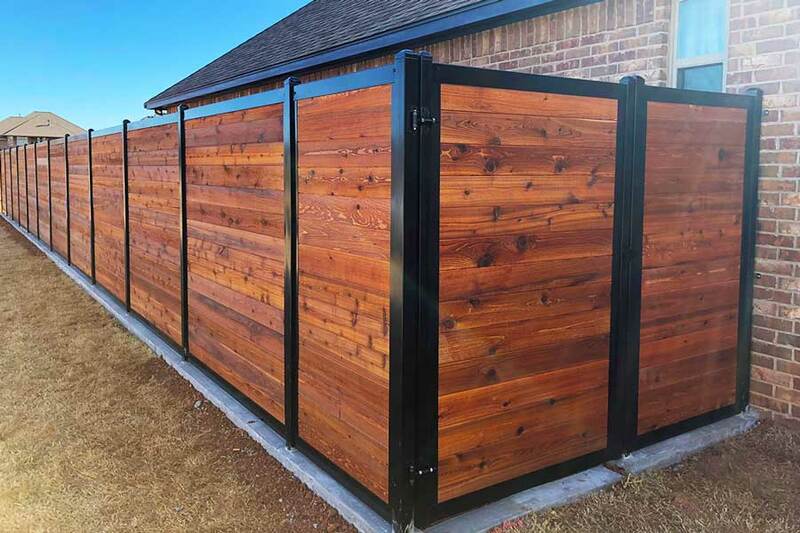 When you need a better fence to protect your outdoor oasis, a horizontal privacy fence has you covered. 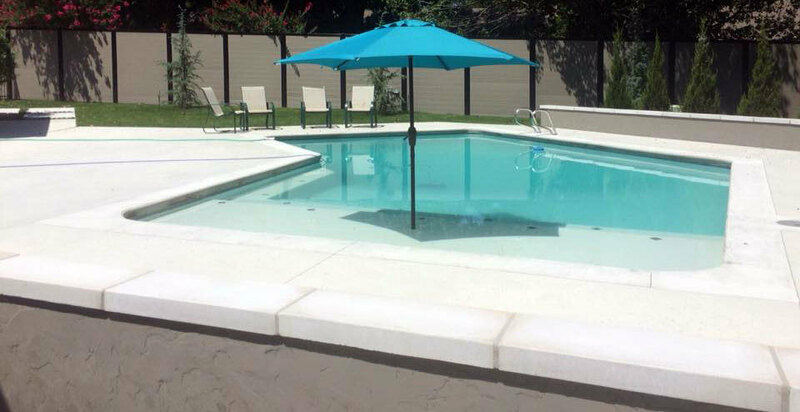 A horizontal privacy fence around your pool or other backyard creates a more secure perimeter to block wandering eyes and keep your kids and furry friends safe and secure inside your property. We suggest tongue and groove fence pickets for optimal privacy. These pickets interlock together leaving little to zero visibility on either side of the fence. There is value in a quality, visually appealing product but it’s what’s on the inside of the privacy fence that matters most. Not only does a horizontal fence have solid structural integrity. It also offers personality and some serious curb appeal to any property it surrounds. If you are interested in building a horizontal fence around a yard, outdoor patio, neighborhood development, ranch or office building, you’re making a great decision. Horizontal fences are known to make any outdoor space visually grow in size. The simplicity of a horizontal fence design can incorporate a modern or rustic twist to any yard to garden. Horizontal fences are especially ideal for any property built on land with a slope. The horizontal slats can be terraced to accentuate the original topography of any yard, garden, or apartment development. Adjusting to each property’s unique commercial or residential needs is a noteworthy quality of horizontal fencing. The structural design and beauty of a horizontal wood fence is appealing on its own. But when using the FenceTrac system to build a fence, fence design ideas are limited only by your imagination (and budget). With FenceTrac, you simply choose a different infill material to create the exact look you want. The FenceTrac U-channel frame accommodates nearly anything. Natural wood, stained wood, vinyl, metal panels, composite planks… you name it! Does an office building need a face lift? 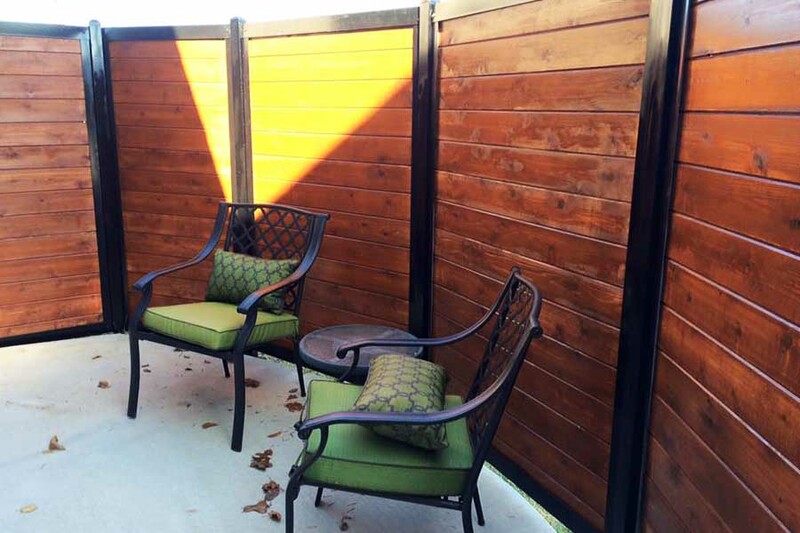 A stained horizontal cedar fence would give a fresh, modern aesthetic to a dated building. Developing a new neighborhood in town? 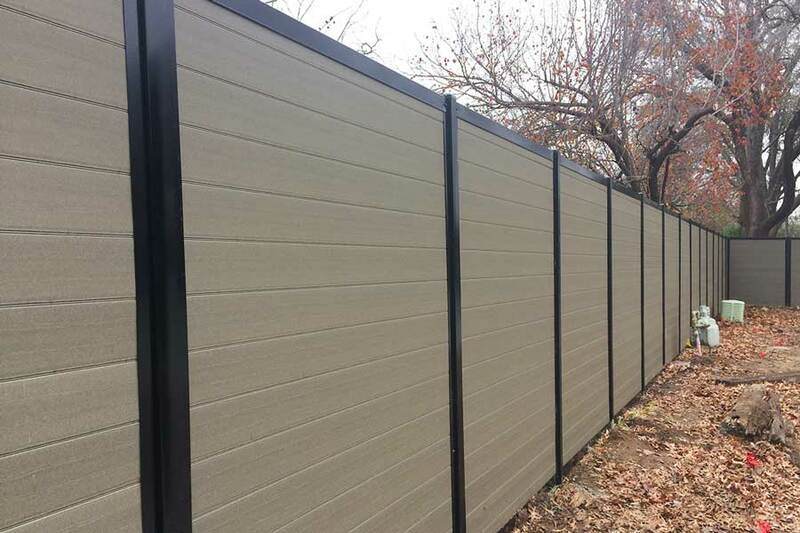 Consider a tall, tongue and groove horizontal privacy fence using composite planks to achieve optimal privacy for new residents. Does your deck need some additional safety measures with new little ones running around? A fence built with aluminum or wooden horizontal slats could add another layer of safety for the kids, as well as a unique, modern touch to your yard. 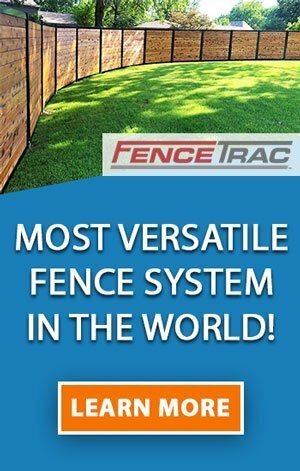 So, is a horizontal fence right for you? When considering a new fence to secure your property, there is a lot to consider. You want to provide a safe perimeter that looks great and lasts a long time. A horizontal privacy fence may be just the right type of fence for you. When it comes to selecting the best wood for your horizontal fence or developing a completely unique look for your fence, Perimtec is here to help. We can help you design the perfect fence for your property and connect you with a local fence installer to get the job done.